There are 3 key elements that you must have to be a successful trader. First and foremost you need a system that has a positive expectancy in order to be consistently profitable. I don't think there's any debate there. It's unfortunate that most traders fail to do the rigorous but necessary work to either manually backtest (or automate the backtesting of) their trading systems. This commonly results in having the misplaced belief that it's their psychology which is causing their lack of consistency. The reality is that if you're trading a system without an edge you won't be successful in the long run. As it pertains to emotions, most psychologists accept that when we are confronted with strong emotional situations we tend to respond with an ingrained, learned reaction that is rooted in our past. These patterns of adaptation help us cope with overwhelming situations and with our reactions to them. These patterns of adaptation are called defenses, and they shape how we experience our internal world and who we cope with the external world. We could go deeper here but I think what we can now recognize is that the framework of developing a system with a positive expectancy and slowly taking it live is, in fact, a defensive method that is structured to help regulate emotions, down-regulate anxiety/fears, and manage stressful scenarios. Let's recall now the story of Richard Dennis and his Turtle traders. Back in 1983, Dennis handpicked about 20 traders and literally handed them a winning system. Yet, after his experiment ended most of those hand-picked traders had failed while a small few achieved amazing results. So what is it that differentiated these traders - in my opinion, it all comes back to trading psychology and mindset. Richard Dennis himself found this out the hard way as there are numerous stories out there how Dennis deviated from his own rules and discipline, and blew out various accounts, finally retiring from managing people's money in 1988. So I'll end here with one last thought. Start with a winning system but following that winning system requires discipline which in turn is regulated by your emotions and mindset. Join this course and start your development towards building your self-awareness and an understanding of your emotional self. 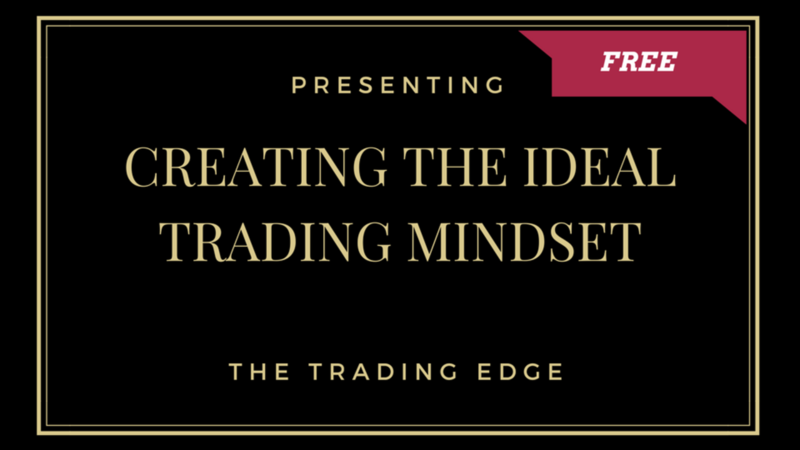 Creating the ideal trading mindset requires that you understand how your current emotions and mindset can influence your trading. This self-development course includes videos and exercises and will take you through improving your self-awareness and cultivating an understanding of your emotional self.